Sorry if this is a repost. 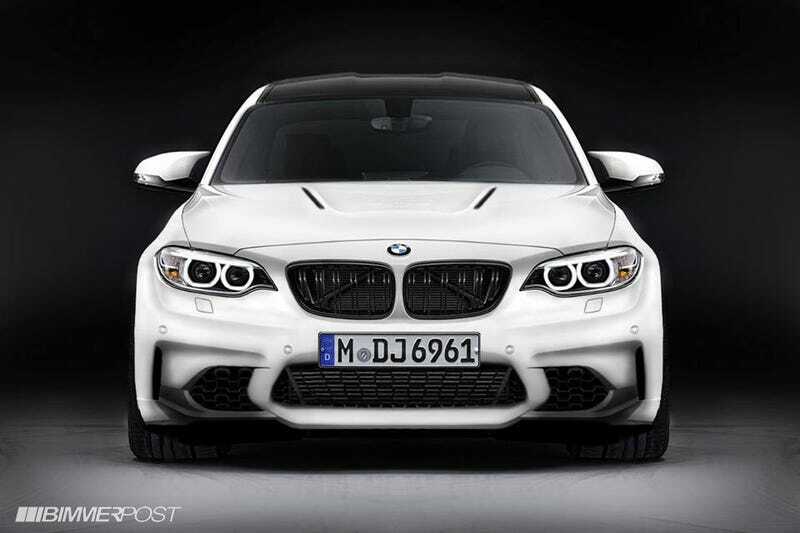 But I saw some new head-on renders of the new M2. I keep waffling back and forth between waiting for this or selling my E90M and getting the new F80 M3. These pics and having seen the Long Beach Blue (rumored production blue at release) it makes a strong argument for it. Sorry for the photo fail, uploading isn't working for me at the moment. I've linked to the pictures from Bimmerpost.